Aitor Delgado Basque Private Tour Guide: So, where are we? Euskadi, País Vasco, Pays Basque, Basque Country, Euskalerria or Euskal Herria? So, where are we? Euskadi, País Vasco, Pays Basque, Basque Country, Euskalerria or Euskal Herria? At first sight for foreigners it can be a tought question to determine the correct name of this tiny area just in the most hidden part of the Bay of Biscay. Euskadi, País Vasco, Pays Basque, Basque Country, Euskal Herria, Euskalerria... In your travel to this area you might face to any of these names and it will give you a good approach to understand what your host is trying to tell you when he uses one word or another. Euskal Herria or Euskalerria. They are both names in basque for the region where lives people that speak Basque language "euskaldun" in Basque. 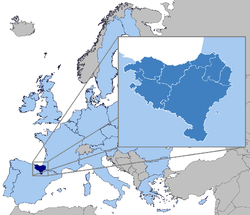 This region corresponds to the area in blue in the top European map and includes in its limits the Autonomous Region of the Basque Country, Navarre, the French Basque Country and two small enclaves in the Basque Autonomous Region (Treviño and Valle de Villaverde). This bigger area has not official recognition but it is commongly referred by some sectors of the society in this area, specially between the Basque nationalists. Vasconia is also used as the historical name used for the full region in Spanish, but it is very few listened. 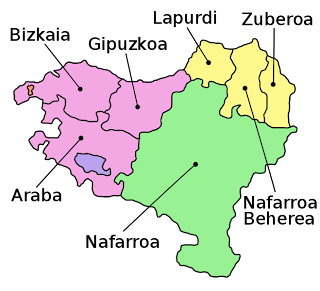 Euskadi, Euzkadi or País Vasco refer normally to the Autonomous Community of the Basque Country, which is marked in pink in the drawing. It is often referred as Basque Country or officially: Basque Autonomous Region in English. Here it comes first confusion as Euskadi or Euzkadi (names invented by a Basque Nationalist in the end of the 19th century) can be also referring to the area including all 7 regions marked in the picture above. Vascongadas is the name officially given in the past to the Autonomous Region of the Basque Country (roughly from 1939 to 1975) and it is not nowadays used. Pays Basque is the French denomination for the 3 areas marked in pink. Often also recalled as Iparralde, Northern Basque Country or French Basque Country. To finish with the names that you can encounter here, there is another denomination for the group of Navarre, Alava, Biscay & Gipuzkoa, which is Hegoalde or Spanish Basque Country. 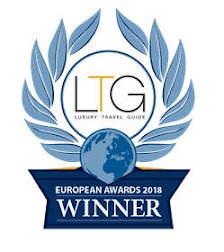 I know, it can be quite confusing at the beginning, but what can I say, our way of life and situation can be hard to see without the help of a local guide.